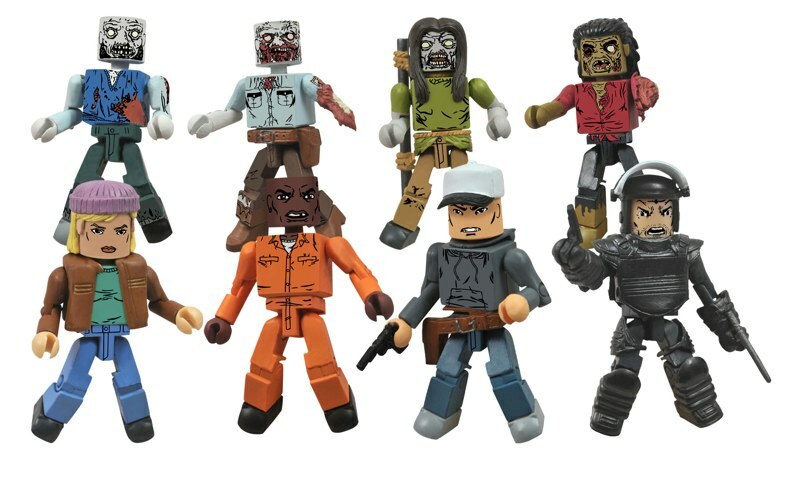 Diamond Select Toys has sent an update on their upcoming The Walking Dead Minimates Series 3. Check below on info for release as well as the breakdown for Toys “R” Us and comic shop assortments. Well, Carol gets the most character-relevant zombie so far ha. 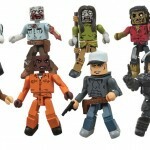 Got them pre-ordered already....still looking for series 1 Glen...and series 2 Morgan....Damn TRU exclusives. 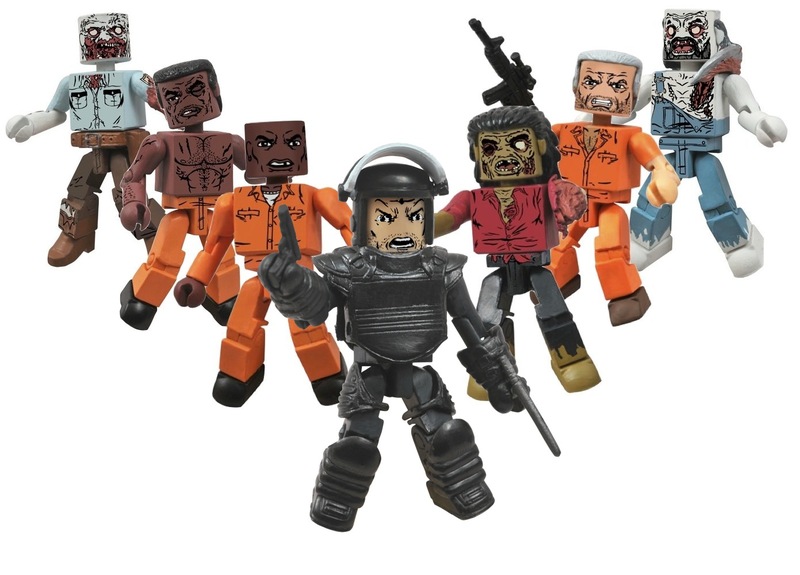 The Rick in riot gear looks awesome.